For those folks who were children in the 1970's and 80's, ABC Television's "Schoolhouse Rock!" was most likely a part of their education. The television series ran from 1973-85, and was then brought back from 1993-99, with both new and old material. Finally, new segments were released directly to video in 2009. Many versions of the videos are available online from numerous sources. We've been thinking about this show and its impact on generations of students since we heard about the death of Bob Dorough, who died on April 23rd at the age of 94. Dorough -- a jazz pianist and singer -- was approached by the father of a child who was struggling to learn multiplication, even though he had no trouble remembering songs. The initial song, "Three is a Magic Number" was the first one in the Schoolhouse Rock! series. Not all the Schoolhouse Rock! videos were sung by Dorough, although he had a hand in almost all of them, either as writer or music director. And the series did not stick just to multiplication or even just to math. Grammar was one of the early topics tackled, and Dorough wrote (but did not do vocals) on "Conjunction Junction", which used trains to illustrate the role of conjunctions. Music is a great way to learn, and Bob Dorough and his colleagues were able to reach children through a medium that got their attention and conveyed information that stuck with them. Dorough was a Grammy winner and was involved in all aspects of writing and recording music over a career that spanned more than 50 years. But the best way to appreciate his diverse and creative endeavors is to hear directly from him, as he explains his life and work, using song, in a TED-X talk from 2017. Thanks, Bob. In our last post, we wrote about the work of Dr. Barbara Dougherty, the Director of the Curriculum Research and Development Group at the University of Hawaii. Dr. Dougherty's work emphasizes the importance of of instilling a solid sense of numeracy (being able to reason with numbers and other mathematical concepts) and operations (recognition of the relationships among addition, subtraction, multiplication, and division) to provide students with a true understanding of math. One way to do this is to teach students to "Rewrite Equalities", a process that begins with understanding the meaning of = . = does not represent “the answer” (as most kids think it does). It means that whatever is on one side has the same value as whatever is on the other side. This seems simple, but it’s a big intellectual leap for kids. One of the biggest revelations will probably be the insight that it’s possible to have multiple numbers on each side of the =. In all of the examples above, there are still a total of seven pennies on each side of the =. Challenge them to build their own models. Now, invite students to take over with their own ideas. How many can they come up with? The student who remembers the commutative property doubles the number of expressions s/he can write, but don’t tell them this! Wait for someone to figure it out. In my classroom, after they’ve worked for a while, students pick their two favorite expressions to write on the board and explain to the class. Can you rewrite the equality using a different operator, like a subtraction sign? Can you rewrite the equality by putting two or more numbers on each side of the equal sign? Can you rewrite the expression using decimals or fractions? What about negative numbers? Challenge students to rewrite an equality using only the numbers in the inequality. They may use any operators and any format they’d like. Students will notice that more complicated expressions can be rewritten in more ways. I’m my classroom, we’ve learned that there is tremendous power in simple activities and procedures. I hope other educators find this activity to be as valuable as we have! Recently, I was fortunate to attend a two-day seminar on teaching math to struggling learners in the middle and upper grades, led by Dr. Barbara Dougherty. Dr. Dougherty, the Director of the Curriculum Research and Development Group at the University of Hawaii, is an insightful and innovative educator with a passion for helping all students develop of deep appreciation for math. If I could sum up the most important lesson I learned during my two days with Dr. Dougherty, it would be with a statement she repeated many times over the course of the conference: Pay now, or pay later. Dr. Dougherty was referring to the time it takes to build numeracy skills and operational sense. These two critical components of math education are often given a mere nod in the classroom, if not overlooked completely by teachers scrambling to cram as many procedures into students’ memories as possible before exam time. This rushed approach, while understandable, is a mistake, according to Dougherty. A solid sense of numeracy (being able to reason with numbers and other mathematical concepts) and operations (recognition of the relationships among addition, subtraction, multiplication, and division) underlies a deep understanding of math. Happily, these competencies are available even to students who struggle with numbers and even those with dyscalculia. But learners need time and the right platforms for exploring the relationships between numbers. My fifth graders have loved this activity, and even those who will swear they hate math cheer when I announce that we’ll be warming up for class with a new number sentence to rewrite. There are lots of reasons to try this in a classroom setting or with an individual student. It's fun! – My students, without any guidance from me, treat these challenges like riddles, and they are tickled when they come up with novel solutions. Builds operation sense – Crunching numbers with a real goal in mind makes practice relevant and motivating. Builds numeracy – With practice, students develop a sense for how to point the magnitude of a quantity in the direction they want; for example, they discover that most of the time, multiplying by a positive number will make a quantity much larger than adding by the same number. Accommodates a wide range of skill levels – More advanced students can use fractions, roots, exponents, etc., while those still building basic skills can gain comfort with simpler operations like subtraction or multiplication. Sets the stage for algebraic thinking – Many teachers take for granted that students who have only ever seen a mathematical expression with a single number to the right of the =, structured like this: 5 + 3 + 1 = 9 will be able to transition to algebra, when problems may have multiple numbers and variables!) to the right of the =, like this: 5 + 3 = 9 – x. Yesterday, Dr. and Mrs. Yellin had the opportunity to visit Quad Prep - The Quad Preparatory School, located in lower Manhattan. Quad Prep was founded to serve "twice-exceptional" or "2-e" students - gifted children with learning differences. 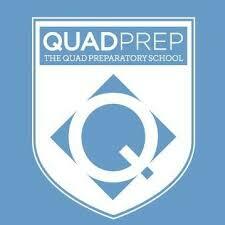 It was actually a second visit to Quad Prep. Their first visit was shortly after the school was founded by Dr. Kimberly Busi, a physician who is the parent of a 2-e child, who believes that parents should not have to choose between settings that foster gifted children's enormous academic potential and those that provide appropriate support for their areas of challenge, without sufficient academic stimulation. Dr. Busi took action to address these concerns and Quad Prep was founded with just a handful of students in an East Village location. Now, only a few years later, the growth and development of the school is astonishing. The attractive and open physical space is on one large floor of an office tower, and has been designed to foster the individualized learning model that is fundamental to Quad Prep's approach. Classrooms have places for one-on-one instruction as well as group activities and there are numerous "nooks and crannies" where support services or individual or small group work can take place. Students range from kindergarten through 12th grade, divided into multi-age groups (within two years) of eight to ten children, based on the students' needs and abilities. Even this arrangement is individualized, so that a third grader with extra skills and interests in chemistry, for example, can work on that subject with a more advanced, older group. The academic curriculum is rigorous, with emphasis on both STEM subjects and the arts. Upper school students take a foreign language, currently selecting from Latin and Arabic as well as more traditional choices. However, academics are far from the whole story. Each classroom features a team of teachers, including both academic instructors and clinically trained psychosocial teachers who support the school-wide social-emotional curriculum and who act as liaisons with the therapists and other specialists who work with each child. There are weekly phone conferences with parents and any outside providers, supplementing the individual instruction and support with a team approach to each student. "...If you have met one twice exceptional child, you have met one twice exceptional child. No two Quad Prep students are the same and there is not a specific mold into which we expect or even hope our kids to fit.... We pride ourselves on how well we individualize attention: rather than expect a child to fit us, we truly fit ourselves around each of our students. In turn, each child is given the opportunity to capitalize on their strengths and further develop their passions, while also receiving empathic support and empowerment to cope with challenges." These are impressive goals and, for the right student, this is an impressive school. The Earth Day Network grew out of the first Earth Day on April 22, 1970 and now, almost 50 years later, works with more than 50,000 partners in over 190 countries, using education, public policy, and consumer campaigns to preserve and improve the environment. The Network notes that more than one billion people world-wide participate in Earth Day activities. 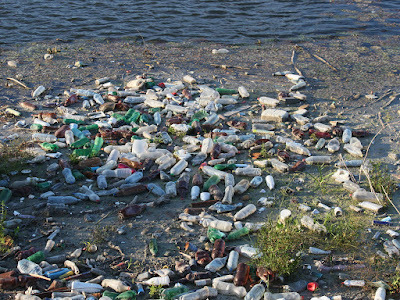 The focus of this year's Earth Day - this coming Saturday, April 22nd -is on plastic pollution, the bottles and bags that choke our waterways, litter our beaches and streets, and pose a deadly threat to fish and birds throughout the world. While many schools have marked Earth Day with special lessons and events each year, we were impressed with a Climate Education Week Toolkit created by the Earth Day Network, with a week's worth of lessons focused on ending plastic pollution. The Toolkit breaks its resources down by ages - those for grades K-5, 6-8, and 9-12. In addition, for each lesson topic, it has three kinds of activities: those that provide basic information about the subject; those that prompt students to analyze and think about the problem; and those that give suggestions of ways that students in each age group can help address the problem. 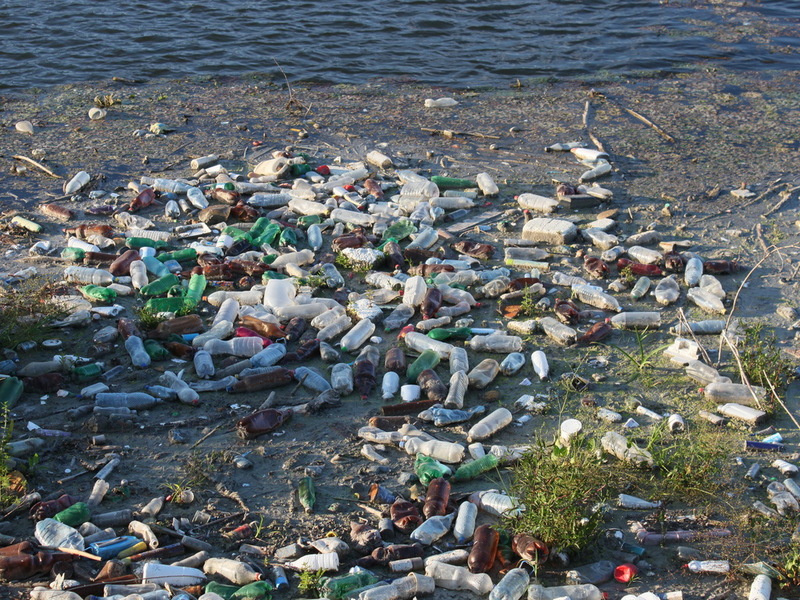 The Toolkit also includes links to videos, such as How Much Plastic is in the Ocean? from PBS, as well as books, TED Talks, and even catchy songs for younger students. We think this is a terrific resource for both educators and parents -- for Earth Day and year round. This site is arranged by grade and topic. Each option provides sample problems for students, teaching tips for adults, and links to online resources for more teaching tips. Instructional material is accompanied by complementary games. While many of the games on this site cover topics appropriate for upper elementary school-aged students, their formats are not as appealing as options for younger students. Developed by researchers at Columbia, Addimal Adventure gives kids more than drill: it uses a research-based understanding of how brains develop numeracy to teach addition. This app helps kids build a solid base for higher math skills, and the graphics and storyline are top-notch. This wonderful suite of games is based on the neuroscience behind learning numbers and developing number sense. There's something here for everyone, from Hungry Guppy (matching digits and amounts) to Zoom (place value and decimals). Kids can practice fractions, math facts, and estimation skills with Motion Math's games. We love them because they cleverly pair conceptual learning with drill to promote learning. Practice your facts, and save the world while you're at it! Download this fun, challenging app and prepare to be addicted. Another good one for math fact practice. In the game, correct answers will earn players "money" with which to buy new parts for digital rockets they're building. This website, made by the same company, provides practice worksheets and other resources. For more great math games, jump to our Math page. This site is divided into four levels. Level 1 is dedicated to learning letter sounds, Level 2 covers the process of sounding out words, and by Level 4, kids can choose from plays, Greek myths, comics, and other genres to practice their reading skills. Learners are shown a picture and asked to drag letters from the alphabet into boxes to spell the word in this high-quality app. They can hear each sound by tapping on it, reinforcing phonics skills. The Homer Method infuses the best research on how children learn to read with high quality, engaging art and storytelling. This innovative app is free, though users may wish to supplement material with in-app purchases. This multi-sensory software delivers systematic instruction to help students develop phonemic awareness. It also provides resources for helping children learn phonics, develop fluency, build vocabulary, and practice comprehension skills. This is a great reading comprehension game that changes daily with the news. Students read a piece of a news story, then have to fill in the blanks in the partially written headline above to introduce the article. In this game, players use spelling knowledge to create a correctly aligned crossword puzzle. It’s a great option for improving spelling, critical thinking, and patience. Kids will love using this fun site to practice their spelling skills and build vocabulary. Students, or their parents or teachers, can enter customized lists, then use the site's flashcards and games to practice. When students have had enough drilling, they can take a test to see how well they remember what they've learned. One nice feature is the ability to view anyone's list, so busy parents can find one that's appropriate for their child easily if there's no time to create one. Access Spelling City on the computer or download the app, where you can create a free account to access pre-loaded lists of spelling words, or enter your own list to play with. Players must help our hero Gnome navigate his way through a deliciously whimsical world to save his planet from an asteroid by solving a series of puzzles. Part of the puzzle, however, is figuring out what the puzzles are. Solved it? Check out Samorost 2, Machinarium, or some of Amanita Design’s other games. Although Samorost is free, some of Amanita’s other offerings require a fee. Play old favorites like Sudoku and Hi-Q, and less known gems like Hare and Hounds and TacTix. This is a wonderful game for building spatial skills. Players must use patterns on the faces of a spinning solid shape (like a cube) to replicate a picture. In this challenging game, players must group images on digital cards together to form a set based on concepts like the shapes, number of shapes, and features of shapes. This is a great exercise for concept-building, and the website above provides a different challenge each day. Look for the original card game in toy stores, too! This classic is now available online! Traffic Jam challenges players to plan several steps ahead as they work to free the red car from a traffic jam. It will take several well-planned moves to do it! This site shows the minimum number of moves required for solving the puzzle, so if kids figure it out in more moves than specified, ask them to try again with fewer moves. You can purchase the actual game from ThinkFun, too. Links are provided for informational purposes only. Links do not indicate endorsement of any particular products or services. Some resources may not be appropriate for all learners. We urge you to carefully review any of the products, services, or tools linked to from these pages prior to allowing children to use them without adult supervision. Last Friday, I had the opportunity to revisit a program I had first seen a number of years ago. 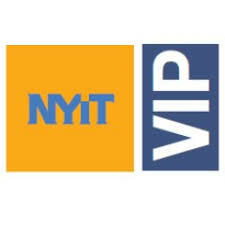 The Vocational Independence Program at the New York Institute of Technology - VIP at NYIT - is now located on the campus of NYIT in Old Westbury, New York. This marks a new location from its original home in Central Islip, Long Island, when VIP first started in 1987. VIP is one of only a limited number of programs nation-wide that provide a college-like experience for students who would not be able to manage the demands of a typical college program, but who can benefit from the post-secondary opportunity to improve their executive function, communication, social, independent living, and employment skills. It is recognized by the U.S. Department of Education as a Transition and Postsecondary Program for Students with Intellectual Disabilities. This status makes it possible for students to apply for federal financial aid, although the cost of the program (similar to a private college) means that even if a student qualifies for some aid, the program may be beyond the means of many families. VIP students typically have autism spectrum disorders, mild cognitive impairment, or significant learning differences. Some students take credit courses at NYIT, leading to an associates degree after three years and some take a course or two on a non-matriculated basis, but most focus on building the skills that will help them to function as independent adults. There is also a summer program for students considering VIP or planning to enter the following fall. As noted by Walter Mayer, Associate Director of Admissions and Development, every student has a job coach, academic advisor, social counselor, independent living coach, and banking coach. By the third year of the three-year program, students are typically working three days per week at a VIP-sponsored internship with employers such as hotel chains, restaurants, retailers, hospitals, animal hospitals, and other businesses. Job placement support is also provided to graduates of the program. VIP notes that students finishing the program in 2017 had an 80 percent post graduation employment rate. Students live on campus, in a dorm located at the adjacent State University of New York at Old Westbury campus, and move back and forth between the SUNY and NYIT campuses via shuttle buses. The residential aspect of the program is an important part of the skills-building that each student works on during their time at VIP. While improved preparation and support programs at colleges have made college accessible to many students who might not otherwise be able to handle its social and academic demands, there are still many students whose disabilities make it difficult or impractical for them to be successful in a college program. Families want to give these students every opportunity to be successful in their personal and work lives and to give them the skills that will stay them them throughout their lives. The VIP Program is designed to help achieve these goals. Our Yellin Center website is full of information on who we are, what we do, and how and why we do it. It is designed to let families and students know about our assessment process and what to expect while working with us. But it is also a terrific starting place for specific resources, such as educational games. Since our list of educational games is tucked away in a corner of our website, we thought it would be a good idea over the next few posts to shine a light on these resources. We hope you agree. This site links to quizzes on lots of subjects, including geography, math, written conventions, science, and many more. Unlike other quiz sites, it features an instructional component, as well. Players may require an adult’s help to find appropriate games because there are so many options. Find lots of great quizzes on language arts, math, science, and more. Most of the quizzes on this site are fantastic, covering topics like language arts, math, and science. Also featured are several fun games to help students improve their typing speed and accuracy. Again, players may require an adult’s help to navigate through all the options to find appropriate games. Students can select quizzes on topics like English, science, and math. The graphics are fantastic, and the games, while quite challenging, are very engaging. Levels are designated using British terminology: Foundations is the most basic level, Intermediate is in the middle, and Higher is the most advanced option. Originally only a vocabulary game, Free Rice now features multiple choice quizzes on many other topics such as literature, foreign language, math, and science. Players begin at a basic level, but as they answer questions correctly, the game gains in complexity. A collection of very appealing math and language games, plus opportunities to read favorite books online (like Diary of a Wimpy Kid) and to make Mad Libs! Note that while most of the site is very enriching, the “Playground” section, while entertaining, has little educational merit. Arcademics (arcade + academics) offers a number of fun games to help kids practice various math, reading, spelling skills. One of the best parts of this site is that many games offer chances for friendly competition by pitting players against others from around the web in real time. This design is motivating and discourages mindless clicking.